The original series, a half-hour drama created by Tanya Saracho, focuses on two Mexican-American sisters from the eastside of Los Angeles who couldn’t be more different or distanced from each other. Circumstances force them to return to their old neighborhood where they are confronted by the past and surprising truth about their mother’s identity. 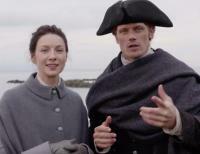 Season 3 of OUTLANDER -- based on "Voyager," the third of eight books in the Outlander series -- picks up right after Claire travels through the stones to return to her life in 1948. Now pregnant, she struggles with the fallout of her sudden reappearance and its effect on her marriage to her first husband, Frank. Based on the bestselling novel by Stephanie Danler, this STARZ original series tells the story of Tess, a 22-year-old who arrives in New York City ready to pursue a new life. When she finds herself interviewing for a position at one of the best restaurants in the city, she thinks she’s found a steady income and a safe place to wait. Now one year later, Brockmire chases an opportunity to call games in New Orleans, where he enjoys new found success as a top podcaster, while living with his co-dependent friend Charles and partying harder than ever. 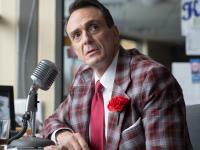 Still trying to still reclaim his career as a major league sportscaster, Brockmire cannot resist the temptations of the Big Easy, while pining for the girl he left behind. This 10-part event series explores the Spanish expatriate's devotion to his craft, his contribution to modern art and his turbulent personal life. Few painters have been as awe-inspiringly prolific as Pablo Picasso. One of the most influential and celebrated artists of the 20th century, his career spanned more than 80 of his 91 years, during which time he produced an estimated 50,000 works. National Geographic, acclaimed filmmaker Darren Aronofsky and award-winning producer Jane Root join forces on an epic series that redefines science and natural history filmmaking. ONE STRANGE ROCK is a mind-bending, thrilling journey exploring one of the most peculiar, unique places in the universe. Set in the underbelly of New York City's Gilded Age, THE ALIENIST, a limited series based on Caleb Carr's award‑winning bestseller of the same name, follows Dr. Laszlo Kreizler, a brilliant and obsessive “alienist,” who, at the turn of the century, is using his controversial new methods of treating mental illness to hunt down a never‑before‑seen ritualistic killer. Spanning nearly 20 years, UNSOLVED: THE MURDERS OF TUPAC & THE NOTORIOUS B.I.G. explores the dual police investigations -- one in 1997 and the other in 2006 -- into the murders of these iconic American artists, murders that are, incredibly, still unprosecuted to this day. On Monday December 11, 2017 the nominations for the 75th annual Golden Globe Awards were announced. The Golden Globes will air live on Monday January 7, 2018 at 5pm PT/8pm ET on NBC with Seth Meyers hosting.